Grayslake, IL - In the early hours of Saturday, September 14, 2013, Protinica Jelisavka (Elizabeth) Marcetich reposed in the Lord in Libertyville, Illinois, in her ninety-eighth year of life. Protinica Jelisavka was the wife of the late +V. Rev. Stavrophor Jovan Marcetich (January 31, 1993), long time parish priest of St. George Serbian Orthodox Church in East Chicago, Indiana. Protinica Jelisavka was born in Sarajevo on October 27, 1915. Along with being a true and dedicated spouse to Fr. Jovan, Protinica Jelisavka faithfully served the Serbian Orthodox Church in several roles. 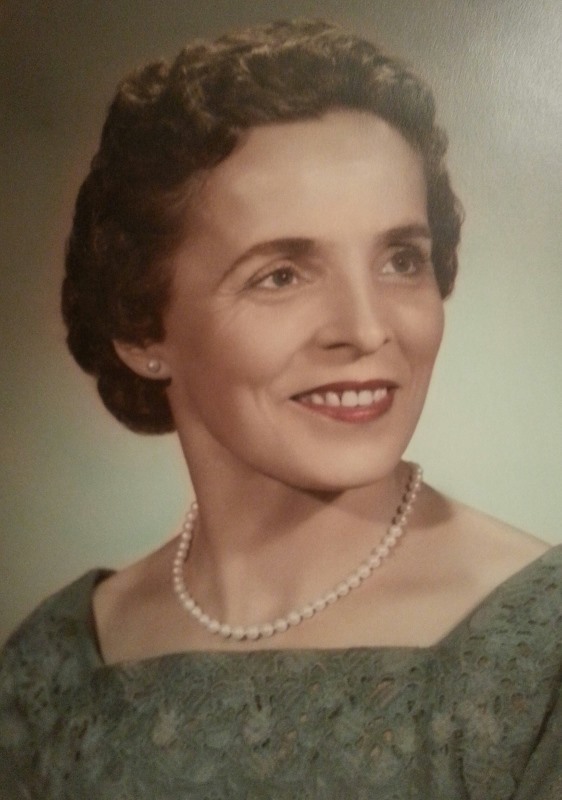 She was the President of the National Kolo of Serbian Sisters for many years, dedicatedly worked in the St. George Parish in East Chicago, tirelessly sacrificed for the campers of both St. Sava and New Gracanica Camps, served as a surrogate mother to the seminarians of St. Sava Seminary in New Gracanica Monastery and faithfully served as the hostess of +Metropolitan Irinej of blessed memory and current Bishop Longin of New Gracanica and Midwestern America. In her last days of life, Protinica Jelisavka was visited by His Holiness Patriarch Irinej of Serbia and Bishop Longin, receiving a final blessing from her spiritual leaders. Funeral and interment 10 a.m. Tues. Sept. 17 at New Gracanica Monastery, 35240 Grant St. Third Lake, IL 60030. Visitation 5 to 8 pm Monday at Burnett-Dane Funeral Home, 120 W. Park Ave. (Rt. 176, one block west of Milwaukee Ave.) Libertyville, where the pomen service will be held at 7 p.m. Memorials can be made to New Gracanica Monastery or New Gracanica Camp. May the memory of dear Protinica Jelisavka be eternal!